When your parents grow older and are not able to move around like they once could, in-home care is an ideal way to make sure that they have someone looking after their well-being. At Visiting Angels in Winter Park, FL, their caregiver referral network helps families find the ideal person to look after their parent or grandparent. This allows the senior to remain living in their home and to hold on to their independence for as long as possible. To Keep A Familiar Setting: If you are like most people, there is nowhere else on the planet more comfortable than your own home. Now, imagine how your loved one feels after living in their home for numerous years (decades in some cases). Moving them out of their home and to a nursing or assisted living facility can have negative mental and physical repercussions. 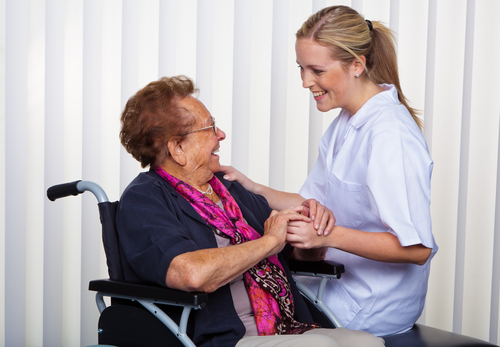 To Receive One-On-One Care: While nursing homes tend to have staff on duty 24 hours a day, they are still outnumbered by the residents at the facility. Even though the staff at these locations means well, residents will not always receive the personalized senior care that is required. This is not the case with in-home care. Your loved one will have a caregiver available to see to their needs; this care can range from a few hours a week to full-time live-in care. To Offer Companionship: One of the biggest drawbacks of having decreased mobility is the dip in social interactions that occur as a result. Too much alone time can cause your loved one to develop issues, such as depression. Even if your loved one is still able to move around their house without any issues, a caregiver is a great source of companionship. This gives them someone to chat with a few times a week and a way to leave their home and interact in the community. If your parent or grandparent could use some extra assistance around their home, contact Visiting Angels in Winter Park today. Call (407) 236-9997 to learn more about their caregiver referral service. For more information about their other services, visit them online. Alzheimer's Vs. Dementia Care: What’s the Difference?